Go back to Sierra On-Line, Inc. 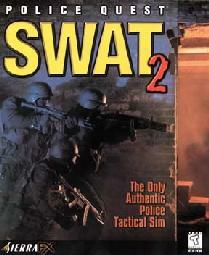 This series is written by Jim Walls who is a police man in real life (although he retired before he started writing games). 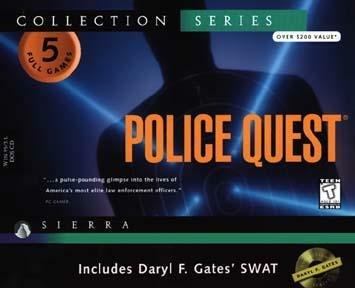 Daryl F. Gates who has written the later games is a retired chief of LAPD. Type: Moving character graphics/Music Written 1987 by Jim Walls. 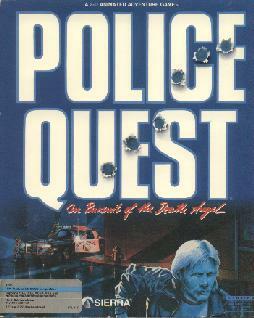 Comments: Sonny Bonds, cop in the Lytton police force, has to track down the Death Angel, a infamous drug dealer. Type: Moving character graphics/Music Written 1991. 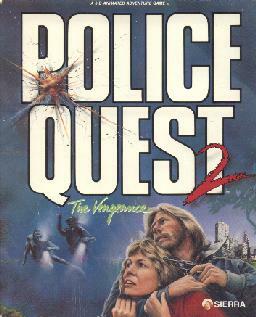 Notes: This is the same as the abve game, but with improved graphics. 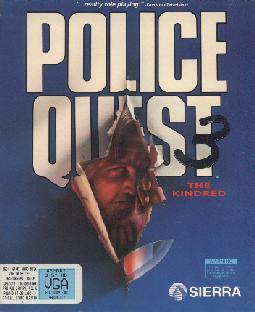 The Amiga version takes up 4 disks instead of 1. Type: Moving character graphics/Music Written 1988 by Jim Walls. Comments: Sonny Bonds must once again track down Jessie Bains, the Death Angel, as he struggles to take revenge against those that put him away. Type: Moving character graphics/Point-n-Click/Music Written 1990 by Jim Walls and Jan Hammer [music]. 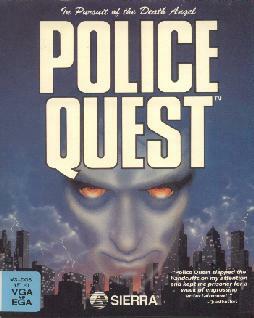 Written 1993 by Daryl F. Gates. 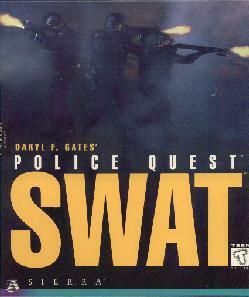 Police Quest: S. W. A. T.
Written 1995 by Daryl F. Gates. 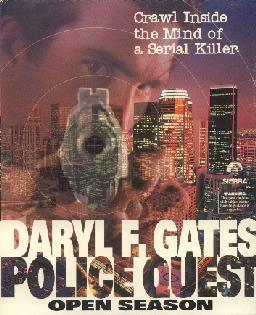 Written 1998 by Daryl F. Gates. 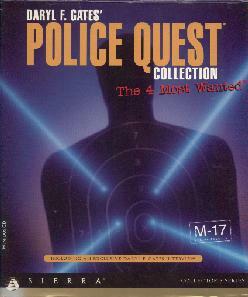 Notes: Contains Police Quest 1-4 and SWAT on a CD and an instruction booklet.